BL Marine has a workshop facility which employs factory trained Mercury, Mercruiser, Yamaha and Yamaha Waverunner technicians. 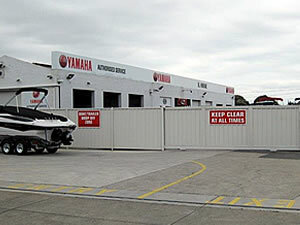 In July 2007, BL Marine extensively renovated our workshop facility, which included a new service reception and designated service drive-through drop-off lane (entry via Malpas St, Gate 1). 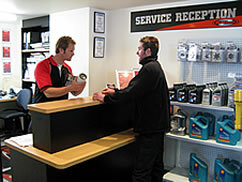 Our workshop is equipped with the latest factory service tools and diagnostic equipment. We also have an extensive spare parts range for both Yamaha and Mercury which enables us in most instances to perform same day turn around with your boat or waverunner. We have over forty years combined service experience with our staff members, currently led by our Service Manager Nick Mitchell who has extensive experience in the Marine Industry.